Underneath vines of wisteria, surrounded by contemporary sculptures and beautifully landscaped gardens, savor an offering of current release wines paired with an artisanal cheese plate or charcuterie board created by our Executive Chef, Chad Hendrickson, for two to share. $55 per plate. Our Courtyard is subject to availability based on weather conditions. Approximately 45 Minutes. Your dining experience begins with a wine and hor d'oeurves reception followed by a tour through our Contemporary Art Museum. Then Hess Collection Executive Chef, Chad Hendrickson, will present you with a three-course dinner featuring holiday inspired, locally sourced, and produce from our organic culinary gardens. Dinner is paired with Hess Collection Napa Valley and Icon wines from estate vineyards on Mount Veeder. Pricing does not reflect applicable taxes and a 15% service fee will be applied Approximately 4 Hours. Enjoy an educational wine production tour with your own private host from The Hess Collection, followed by a current release wine presentation paired with Artisan cheeses served with seasonal fruits and nuts selected by Hess Executive Chef Chad Hendrickson. Approximately 1.5 Hours. Enjoy a private tour of the Hess Collection, followed by a current release wine tasting of four wines paired with artisan truffles developed and handcrafted by our Pastry Chef, Linda Rodriguez. This is a unique, educational experience. Please allow 90 minutes for this tour and tasting experience. Approximately 1.5 Hours. Enjoy a guided tour of The Hess Collection Art Museum, featuring works from Donald Hess’ private collection with an optional complimentary tasting of 4 current release wines in the tasting room immediately following. Approximately 1 Hour. 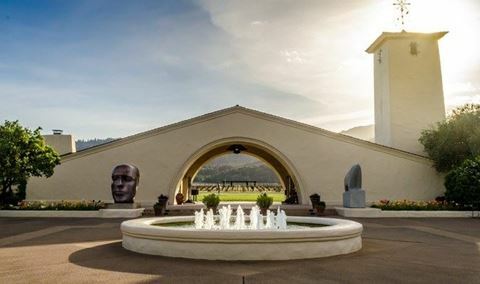 The winery and art museum are open daily by reservation. You are invited to taste four current release wines, many available only at the winery, for $25 per person. Approximately 30 Minutes. 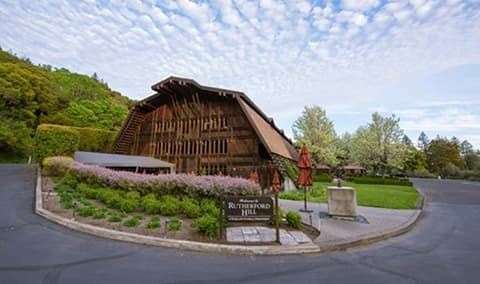 Begin your experience with a guided tour through our historic Mount Veeder Visitor Center and Contemporary Art Museum. 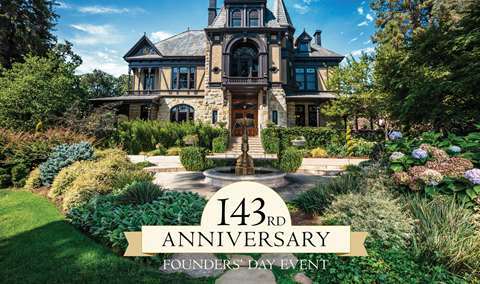 After which the Hess Collection Executive Chef Chad Hendrickson will present you with a farm-to-table three-course luncheon featuring menu items from the winery’s culinary gardens, paired with Hess Collection Napa Valley wines from estate vineyards on Mount Veeder. Lunch will be served in our private dining room with sweeping views of our vineyards. Approximately 3 Hours. This experience begins with a guided ATV vineyard ride through the historic Mont La Salle vineyard, exploring a range of Napa Green sustainable practices. 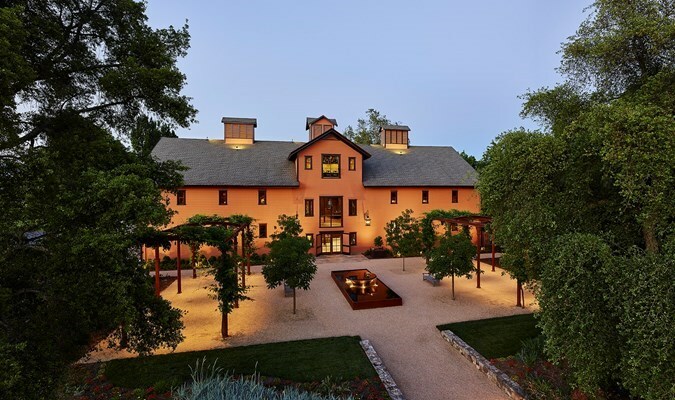 After which the Hess Collection Executive Chef Chad Hendrickson will present you with a farm-to-table three-course luncheon featuring menu items from the winery’s culinary gardens, paired with Hess Collection Napa Valley wines from estate vineyards on Mount Veeder. Lunch will be served in our private dining room with sweeping views. Approximately 3 Hours. SAN FRANCISCO GIANTS VS. PHILADELPHIA PHILLIES SUNDAY, AUGUST 11th, 2019 – PRICE $215.00/PERSON BUFFET: 12:00PM LOCATION: Tony Bennett Suite Willie Mays Plaza, San Francisco, CA 94107 FIRST PITCH at 1:05 pm Join us for an afternoon at AT&T Park and help us root for our beloved San Francisco Giants! We know that this will be a great game. The day starts at 12:00 p.m. with a Game Day BBQ in the Tony Bennett Suite 1, with Hess Collection wines, followed by the Giants game. First pitch at 1:05 Approximately 4 Hours. The most memorable Icons come in pairs. Join Tim and Sabrina Persson, fifth generation Hess Family, and the winemaking team for the annual Lions Release Dinner. A memorable evening is planned, starting with a garden reception followed by a formal dinner by Executive Chef Chad Hendrickson in the Hess Art Museum. Approximately 4 Hours. Abandon the silverware, don an apron, and enjoy steaming lobster, prawns, corn-on-the-cob, and more as they are ceremoniously poured from huge cooking pots down the middle of butcher-paper covered tables. Of course our wines will be flowing and Hors d’oeuvres will be prepared by The Hess Collection Executive Chef Chad Hendrickson. For those age 21 and over. Approximately 3 Hours. We will be tasting through the May Wine Club wines and Chef Chad will have some lovely cheeses to pair. Space is limited, please rsvp. We look forward to seeing you! Complimentary up to 2 guests. Additional guests $15 each. Approximately 2 Hours. Join us for an exclusive Mother’s Day wine and Food Pairing. Begin your experience with a guided tour of The Hess Collection Art Museum, featuring works from Donald Hess’ private collection. After, enjoy a pairing of three current release wines expertly matched with three exquisite creations from The Hess Collection’s Executive Chef, Chad Hendrickson. Guests 21 years of age and over only please. Approximately 1.5 Hours. This experience begins with a guided ATV vineyard tour through the historic Mont La Salle vineyard, exploring a range of Napa Green sustainable practices. After which you enjoy an estate wine presentation paired with Artisan cheeses served with seasonal fruits, nuts, and items from the winery’s culinary gardens, selected by Hess Executive Chef Chad Hendrickson. This is an outdoor activity and is suggested you bring sun protection Approximately 2 Hours. Wake up your senses and experiment with three varietals, learn their influence in wine-making and the art of blending . Then compare your blend with our signature Lion Tamer Red Blend. 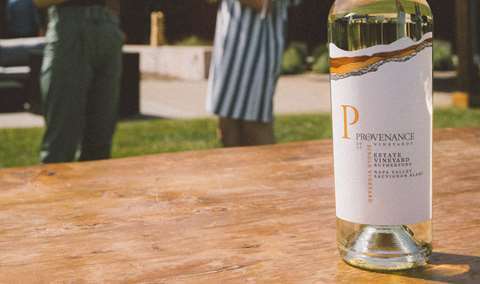 We welcome you to play winemaker for a day and take home your own custom blend. Approximately 2 Hours. Enjoy a guided tour of The Hess Collection Art Museum, featuring works from Donald Hess’ private collection, and pairing of three current release wines expertly matched with three exquisite creations from The Hess Collection’s Executive Chef, Chad Hendrickson.on. Approximately 1.5 Hours. Begin with a guided ATV vineyard tour through the historic Mont La Salle vineyard, exploring a range of Napa Green sustainable practices. After, enjoy a pairing of three current release wines expertly matched with three exquisite creations from The Hess Collection’s Executive Chef, Chad Hendrickson Guests 21 years of age and over only please. Approximately 1.5 Hours. 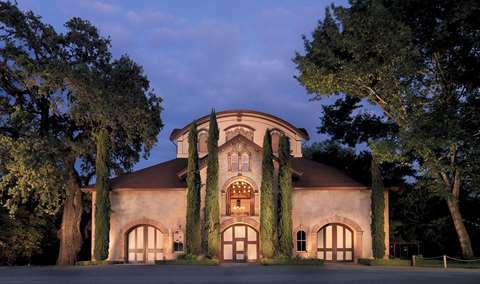 The Hess Collection Winery and Art Museum houses exceptional wines and world-class art. 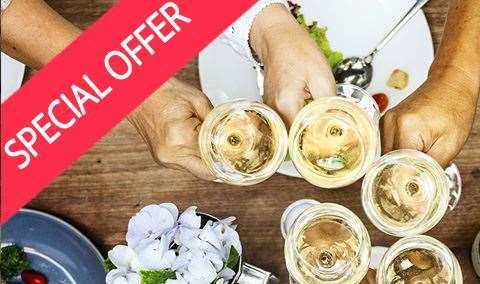 Reservations are recommended for wine tastings and we offer several exclusive experiences by appointment. Donald Hess established his first Mount Veeder vineyard in 1978, from the beginning recognizing that on these ridges and bench lands, the potential for great winegrowing was clear. Deep, rocky, volcanic soils provide a home for vineyard blocks producing small, concentrated fruit that reflects the challenges of growing grapes at higher altitudes in the coolest mountain growing region in Napa, best known for Cabernet Sauvignon. 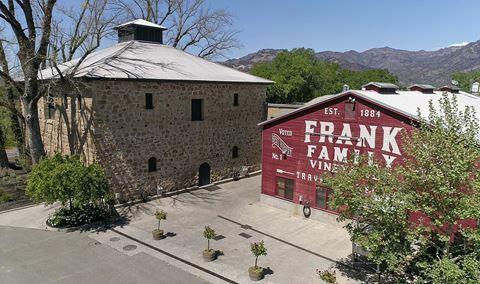 The Hess Collection winery is part of a historic site where wine was first produced in the 1860's, in a native stone building hewn by masons in 1903. The original stone structure is now joined by The Hess Art Collection, a world-class showcase of contemporary art that captures "two passions under one roof." The Hess Collection uses sustainable, environmentally-sound practices with the axiom, "Nurture the land, and return what you take." 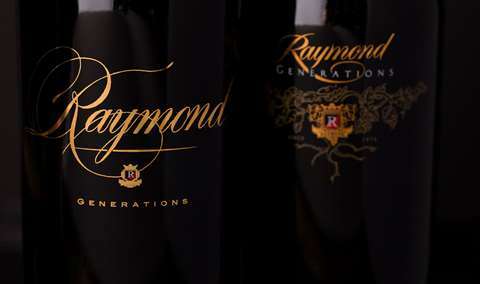 That philosophy brings with it a dedication to delivering wines that speak to their natural origins. Not only are Hess wines wonderful, the winery is beautiful! The gardens and koi pond you walk by are beautiful. The tasting room is very nice and the staff are all knowledgable. There is a very interesting art collection you can roam through too. Welcoming, gracious, and knowledgeable staff! There was a wide variety of wines, and everyone in my group found something they liked! The grounds are gorgeous, and there is a lot of history at this site. Will definitely return!! Wonderful drive to a modern winery in the country—with an excellent contemporary art gallery. Highly competent and congenial staff. Unhurried calm environment. Excellent wine. The blending party was an incredible experience! Everyone at Hess is so friendly and wonderful, we thoroughly enjoyed the whole blending event. From bubbly & breakfast through the custom blending process, complete with prizes & corking your own blend, and then a gourmet lunch buffet in the cellar after, we had such a fabulous time! Will definitely bring friends and do it again next year! Thanks! We loved the blending party experience from beginning to end! Always a great experience at Hess. I belong to their club for over 5 years. This visit I brought some of my clients and they had an over the top experience. Everyone was kind and knowledgeable. The wines were amazing and the art inspired us. Excellent private tasting in a room overlooking the winery floor. Enjoyed the tasting of the wine paired with local cheeses. A treat with lovely wine, art & architecture. We had a great experience at Hess. Steve was interesting and educating at the same time. He made the experience very enjoyable. We will ask for him when we return in the future. The wines we tasted were excellent. They do have printed suggestions of what to try but Steve is very intuitive about offering them and in the perfect order. We had an awesome experience. I would recommend to anyone in the area! We were blown away. It was great. We had a party of six on a Sunday and Fiorella was our guide. She was knowledgeable about both the art and the wine, and was energetic, enthusiastic, and friendly. The buildings, the art collection, the wine, the food, and the setting were all impressive. Highest recommendation. Michael was very engaging, thorough in his description about the history of the winery and he was very personal. We appreciated the time he took to express what we were sampling. The wines were wonderful as were the chocolates. Great wines, hospitality and art collection. We shared the winery with an out of town guest - she was delighted and so were we. Exceptional wines and artwork. Very friendly staff. A wine paring experience and tour of the art collection is always a great experience at Hess. You never feel like you are attending an Apple product rollout with 300 members of a cult drooling over their "founder" like you would at Del Dotto. Instead, you hear a story of a winery with roots, attention to fine wine making, and an ambience that reflects class and sophistication. We were greeted upon arrival by the front desk and Christa. Everyone knew who we are because we had a reservation. Fantastic tour by Christa and great tasting. Christa let us try multiple wines and helped us compare different flavors. She was so talented she could even pick what wine we would like based off of what our favorite food was. Overall wonderful experience!! We were greeted with extemely friendly staffs upon entering The Hess Collection Winery. The wine selection was amazing, the artwork is unique and beautiful, and our sommelier (Joel) was extremely informative. The overall ambaiance and experience was great, and I would highly recommend others to come. We went on a Saturday, early and it was very busy. I would opt to visit on a weekday next time. 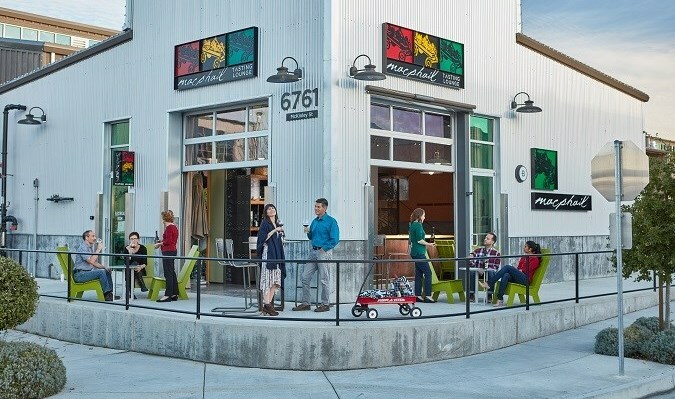 It's a bit sterile in the lobby and tasting room, otherwise the grounds, retail room, and gallery were very nice. The staff were friendly and very busy. I prefer a more personal not as rushed feeling, however again it was Saturday. The wines were great. The drive up to the winery, the grounds, and the facility were amazing. 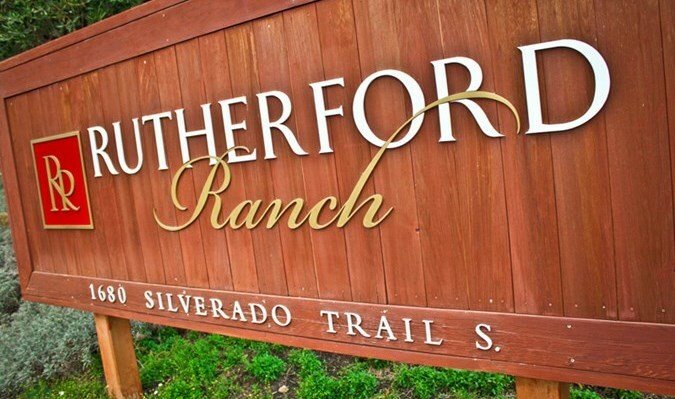 The service was the worst I have experienced in wine country. This was a wonderful experience; from the history tour to the art tour to the food and wine pairing. Francessca, our chef , prepared a sumptuous food pairing that was a feast for the eyes as well as the palate. We were delighted to meet her. And oh my goodness, those chocolates at the end, were the perfect finishing touch. I have had my wine club membership since moving to California is 2010! Love it Love it! The winery buildings and grounds are impressive, set back against the foothills and next to a picture book monastery. You are greeted warmly upon entering the facility. The art housed in the main building is incredible. If you like modern art, and we are SFMOMA members, you will appreciate the selection presented. What made the tour so much the better was our guide. I truly enjoyed my experience at the Hess Collection. The grounds are beautiful, the tasting was set up magnificently and our host was the most gracious and kind, not to mention, knowledgeable person we've toured with. I would highly recommend this tour and of course, the wines to everyone! It was a great experience! We loved being welcomed with sparkling wine and the personalization of the tasting menu! What a great experience! First of all, it's a beautiful facility in the mountains, with a lot of history and some very old vines! We arrived early and were greeted immediately, and enjoyed the art gallery while waiting for our Elevated Tasting. I was pleasantly surprised that the tasting was private, and involved a small tour and tasting in the wine cellar at a very affordable price of $45! Cindy was great. She was fun and knowledagble. We loved it! Excellent in every way! We had an amazing time on the tour and lunch with wine pairing. It was some of the best food and wine I have ever had in my life. Our tour guide Michael was very nice and knew so much. We will definitely be back! Our dinner at Hess was over the top impressive. The appetizers were a class act!! The special persimmon treats were amazing. Dinner in the gallery elevated our impressions even more. The tables were set up with lots of space. Each course was a gastronomical delight. The desert was a work of art AND delicious. I never imagined Pan a cotta and ice cream and berries could be that special. It was!!! We were immediately greeted by friendly employees who welcomed us to the winery. We loved the tasting room and also the wonderful collection of modern art. My only negative comment is that there is not a place to sit while tasting. I noticed older people around and since it takes a while to taste, stools at the bar would be a nice, welcoming touch. Our host was great and knew her Hess wine. We enjoyed our walk around the art collection after tasting. We always enjoy our visits to Hess from start to finish be it for tastings, wine club parties or a special event. We were warmly greeted at reception and meandered into the tasting room to wait for our guests. We were introduced to Ivy, our tasting host, and proceeded to taste through many of the outstanding Hess wines as she described the wines and flavors in knowledgeable detail. Loved it! The collection was fabulous with insightful tour guides. The grounds were beautiful to explore. A wonderful experience overall. We will be back soon! Great welcome. Provided a welcoming ambiance. Our assistant in the tasting room was able to provide information about vineyard location and where varietals are grown. She was forthright in sharing she was new at the pouring job and was limited with information about blending and enology information about the wine. Wonderful experience! Super friendly staff. Lovely welcoming upon arrival. Art collection was spectacular. Tasting experience was exceptional, ask for Debbie Clay. Overall, best Napa experience I’ve had!!!! I enjoyed the tasting but I did not enjoy some of the tasting room staff. Would not recommend for that reason alone.